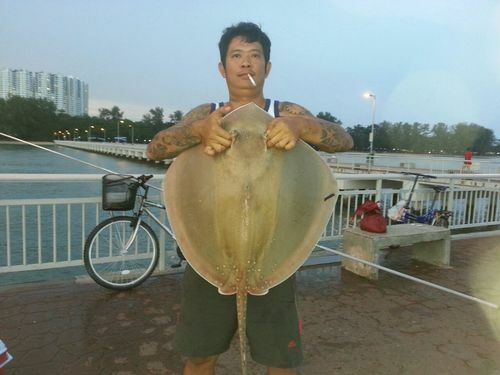 Ah Boi caught this brown stingray this evening. He had just cast down the bait about ten minute earlier. The fish took his bait and scream his reel alarm. After some good fight, he manage to reel in the line. Ah An was there with the gaff ready. Estimate the fish is around 5-6kg.